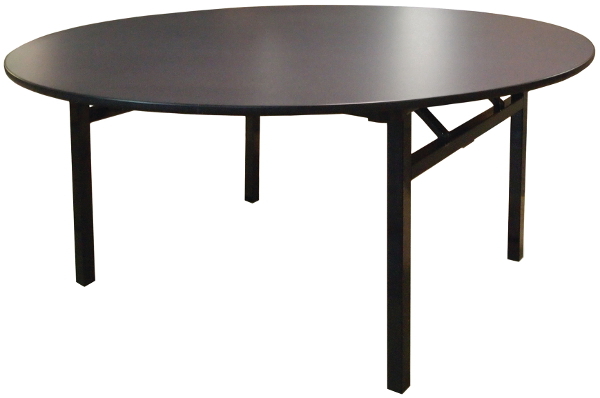 This commercial round folding table features a high pressure laminate top on plywood core. Available in 6 standard top colors to choose from. All top colors have a black edge & frame. It features a square leg design with spring locking mechanism for maximum stability. The square legs are constructed from 1.5" steel tubing, with nylon leg caps. The square leg style gives it more of a "permanent fixture" look compared to standard wishbone style legs.